For me December is a time of sensory memory – the smell of cinnamon, peppermint and nutmeg; the comfort of a fire and an easy chair; the twinkle of lights and the flutter of falling leaves. It’s also a great time to be outdoors in California, making memories and getting your boots muddy. 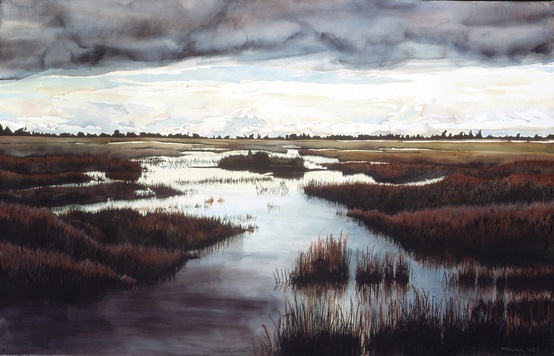 The Sacramento Valley, where I live, is a network of wetlands in winter and it’s a popular stop for birds migrating down the Pacific Flyway. Estimates put the number of annual avian visitors in the millions. It’s easy to get out and enjoy the astonishing variety and beauty of these creatures, a great break from the onslaught of commercialism that clogs the airways and the roadways. Sandhill Crane Wetland Tours, the first three weekends of each fall/winter month through February at Woodbridge Ecological Reserve near Lodi. The docent-led tours start approximately 90 minutes before sundown and run to about 30 minutes after sunset. Pre-tour registration is required online at www.dfg.ca.gov/delta/cranetour and may be made up to six weeks in advance. Suggested donation is $10 per adult. The South unit of Woodbridge ER is accessible to the public at any time. It features informative interpretive panels, and viewing of sandhill crane ‘fly-over’ at sundown is common. 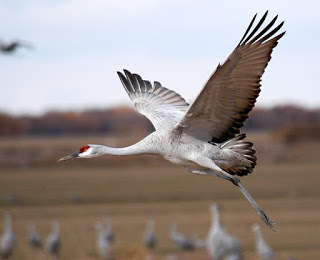 The Woodbridge North unit (accessible only by tour) includes a bird-viewing blind and typically receives the ‘fly-in’ where the cranes come to roost for the night.For more information please visit the website or call (209) 948-7708. Guided Swan Tours in rice fields near Marysville, Saturdays in December, from 9:30 to 11:30 a.m. and 1 to 3 p.m. Driving tours along a short route with very little walking required. See tundra swans, ducks, geese, cranes, shorebirds, white pelicans, herons, egrets and raptors. Pre-registration is required on the DFG website,www.dfg.ca.gov/regions/2/SwanTours. Tours are free, but registrants are encouraged to make a donation online to the California Wildlife Foundation to support this program. For more information please call (916) 358-2852. 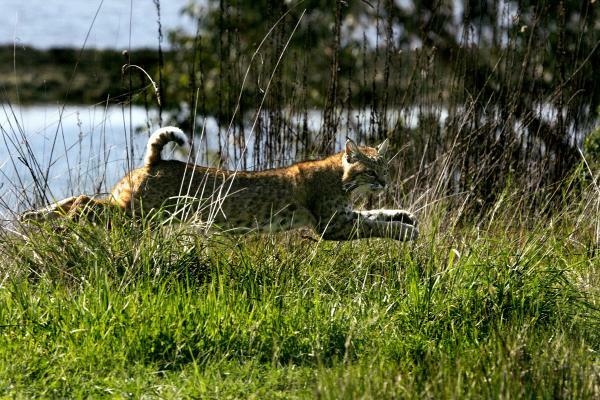 Weekends — Guided Wetland Tours of Gray Lodge Wildlife Area, 12:30 to 2 p.m. at 3207 Rutherford Rd, Gridley (95948). On the Pacific Flyway at the base of the Sutter Buttes, Gray Lodge WA is one of the premier birding spots in northern California. This public land provides appealing habitat for waterfowl, shorebirds and other wildlife. Migrating ducks arrive through fall and winter populations grow to hundreds of thousands. Local experts lead a 0.3-mile stroll on a paved trail to an elevated viewing deck and discuss wildlife adaptations, natural history, conservation efforts and how to identify wildlife. Tours are included in the $4 entrance fee and self-guided visitors are also welcome. Tours are cancelled in heavy rain. Please make reservations for groups of 12 or more. For information or scheduling, contact the Gray Lodge WA Naturalist Office at (530) 846-7505 or ldieter@dfg.ca.gov, and visitwww.dfg.ca.gov/lands/wa/region2/graylodge/index.html. Weekends — Elkhorn Slough Ecological Reserve docent-led walks, every Saturday and Sunday, 10 a.m. and 1 p.m. Binoculars and bird books available to borrow at no cost. Visitor Center and main overlook are fully accessible. Day use fee is $4.32 per person, age 16 and older. Groups of 10 or more should schedule a separate tour. Directions and more information at www.dfg.ca.gov/lands/er/region4/elkhorn.html.